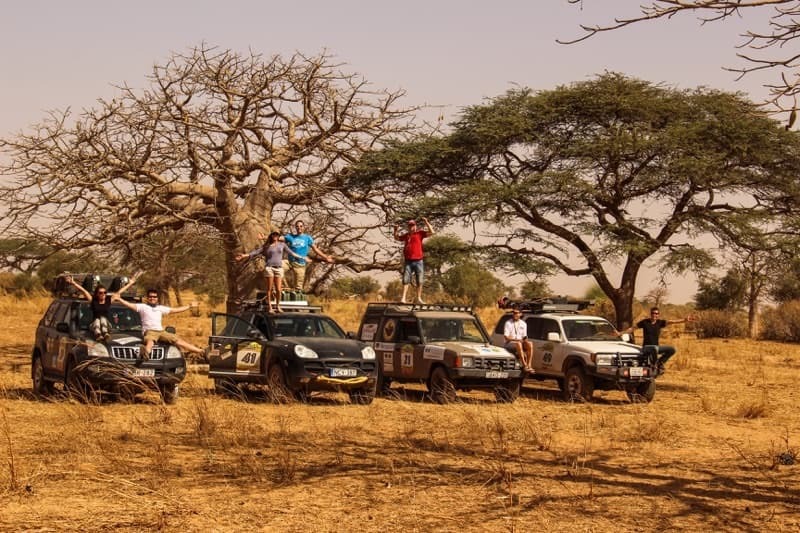 We've met Marc during our African adventure when we took part in the Budapest-Bamako Rally. 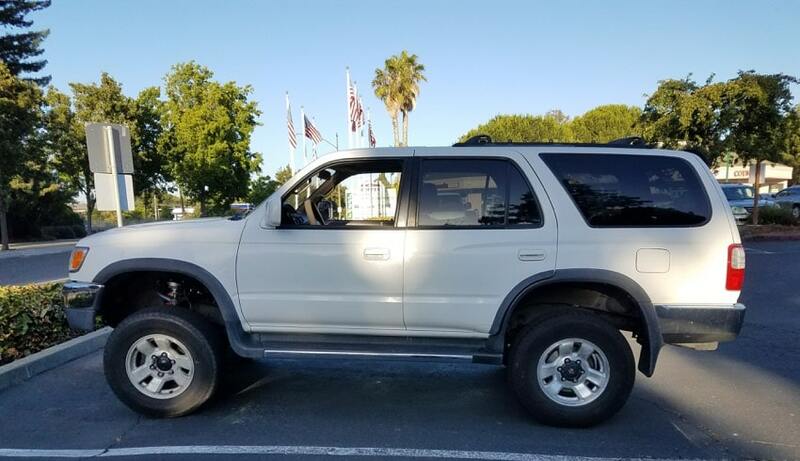 Marc was driving a 3rd Gen Toyota 4Runner with all the modifications that you can only see on well equipped overlanding vehicles. When I spoke to Marc he told me that he's done nearly all of the modifications himself and his story got me intrigued. 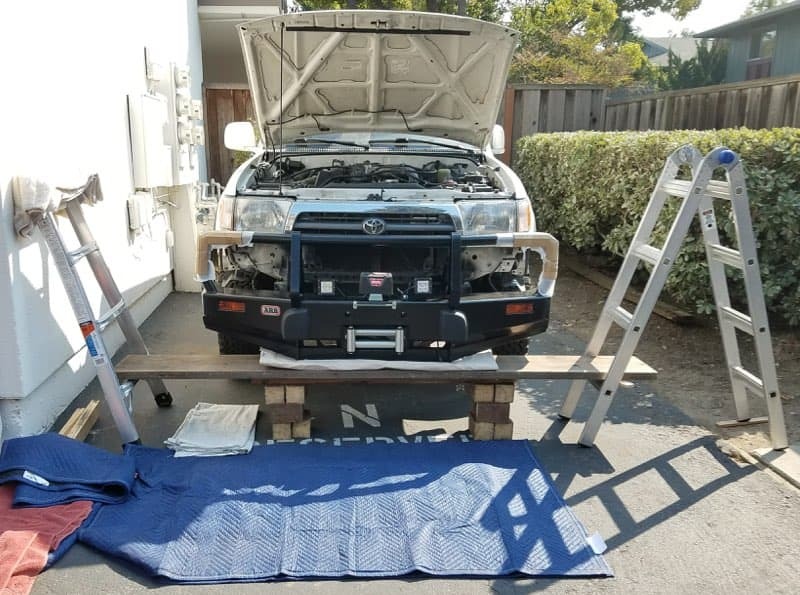 How to modify a bone stock 3rd Gen 4Runner and how to organize the logistics of getting all your equipment and your vehicle shipped from California to the UK? 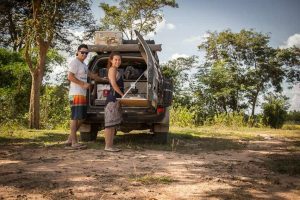 In this interview article, Marc has provided an immense amount of valuable information on how to prepare for an overlanding adventure, from off-road driving courses in California through modifying your vehicle to getting all the necessary gear. 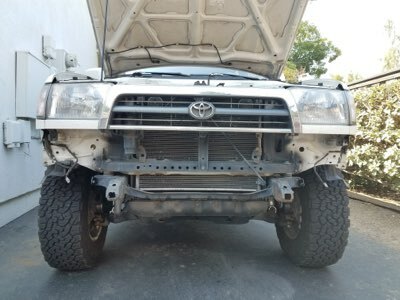 ​We will also have a more detailed post about the 3rd Gen 4Runner bumper install, the suspension lift as well as the list of overlanding gear Marc took to Africa with him. 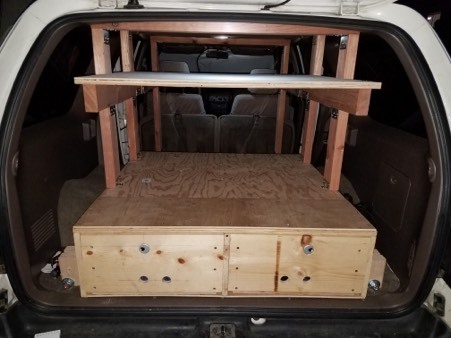 Please read below how he converted his stock 4Runner to an overlanding rig capable of taking on the Sahara Desert! 1. Marc, tell us about your background a bit. Where are you from and what do you do? ​I was born in South Africa and have lived on three continents (so far), currently in the USA and working as a project manager at Google. 2. 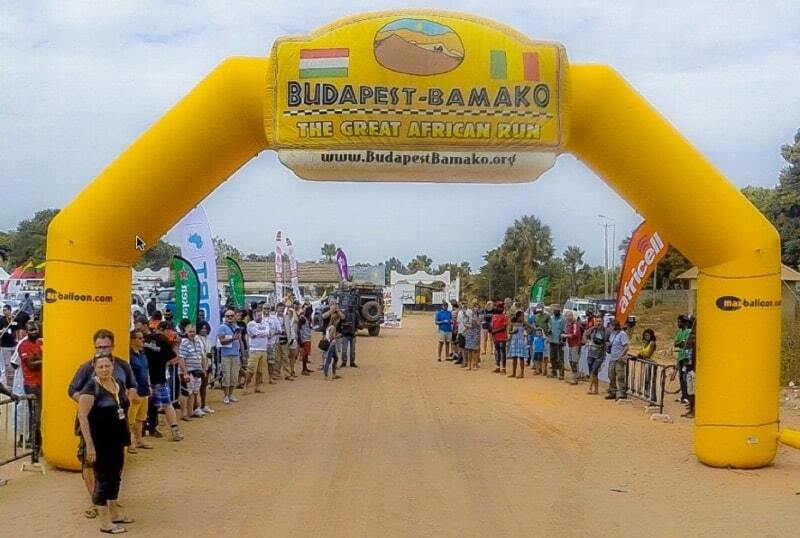 How did you hear about the Budapest-Bamako Rally? 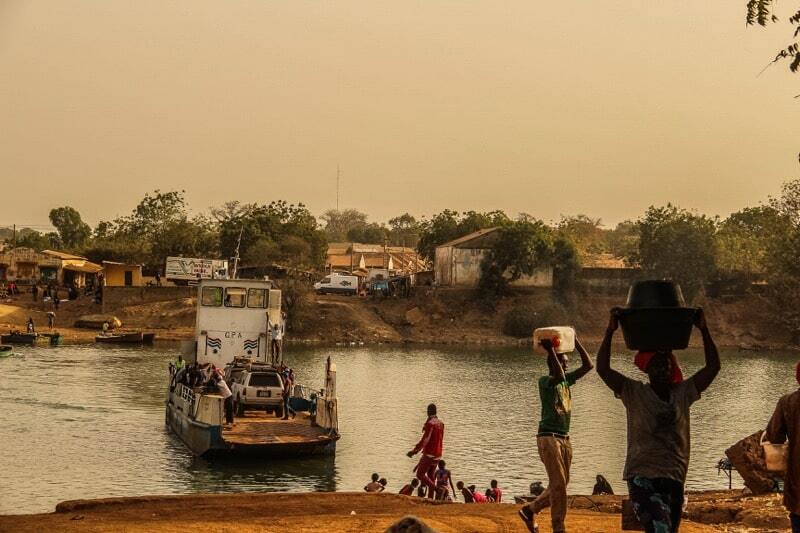 Why the Bp-Bamako and not some other rally? 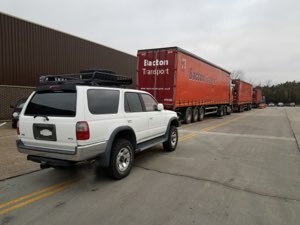 Why not try offroading/overlanding in the USA first? I don’t remember exactly, but I became aware of it sometime around 2005 (I was living in the UK at that time) via colleagues at work - that was when it was just getting started. I enjoy motor sports and road trips and exploring and Africa has a special place in my heart. 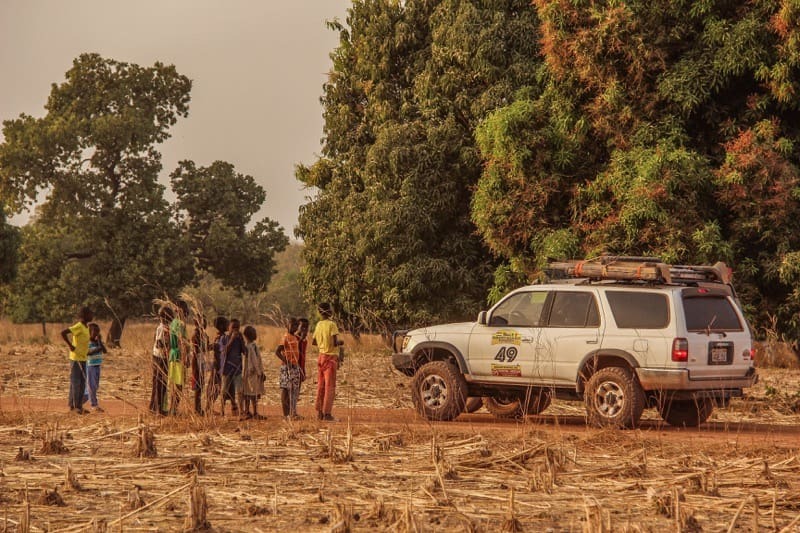 The somewhat happy-go-lucky style of B2 (B2=Budapest-Bamako Rally) made it seem very affordable and potentially doable. However, at that point in my life I really didn’t have the resources to make it happen. I had just recently bought a house and was working long hours and building up to a significant career change so I didn’t proceed. But B2 stuck with me - in the meantime I moved to the USA and things seemed to be settling a little so in 2009 I actually entered the 2010 B2. It was not to be, a short while after entering, I saw a career opportunity that was on the other side of the USA and it was an chance of a lifetime so I moved once more and sold my entry. Fast forward to New Year’s Day, 2017 and I was thinking about stuff I wanted to do. B2 popped into my head once more. I looked it up and saw they were running every other year and entries were open for 2018. I figured that gave me enough prep time so I signed up and this time actually made it happen! I didn’t spend time to investigate what other amateur rally options might be taking place in the USA other than I did see the Baja4000 by the same group. Trying in the USA first would for sure have been logistically easier and the learnings from there would have meant I would have been more ready for B2. Unfortunately, the next one was happening too soon - just a couple of weeks into Jan 2017 - so it would not have been practical to enter. I did briefly consider entering the 2019 Baja4000 instead, but that would have meant a 2-year wait and a 3-year wait to the 2020 B2, so I went with 2018 B2. 3. 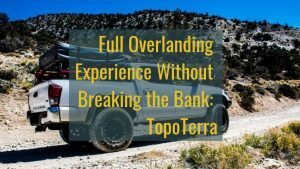 Did you do overlanding before? If so, how did you get into it? 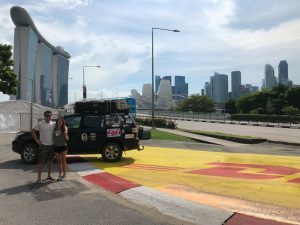 ​I didn’t have true overlanding experience but as a kid, we would go on road trip holidays where we’d all pile into the car and go hundreds or sometimes thousands of miles so I’ve had the experience of living out of the car and exploring remote, albeit usually paved or at least graded dirt roads around South Africa and Namibia. 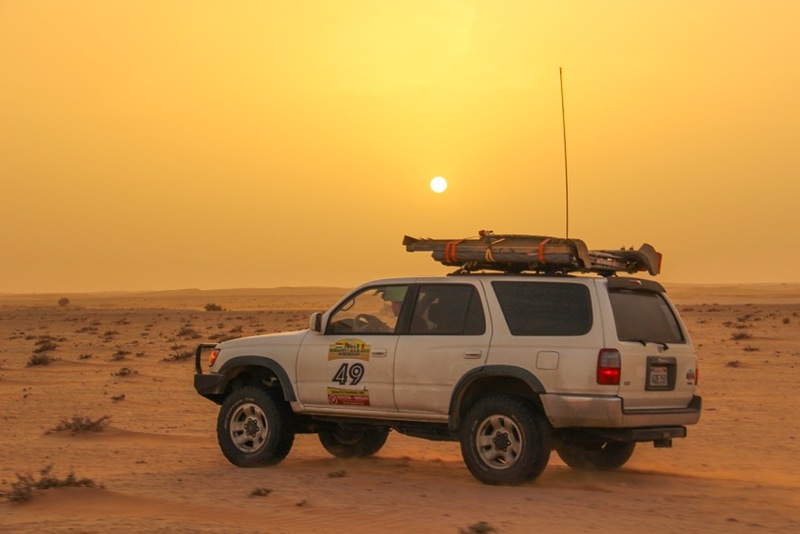 I’d also been growing up in the era of the Camel Trophy and had read about the off-roading adventures and been inspired to do something similar. A big part of the appeal of B2 were the preparations - learning all sorts of new stuff and driving skills being part of that. 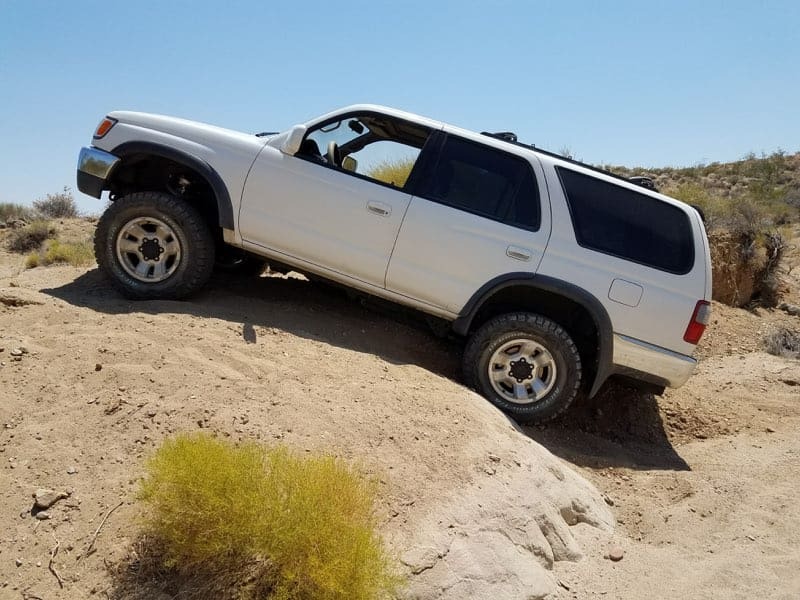 I took the opportunity to do a series of off-road driving classes run by a company called Badlands Off Road Adventures, based near Los Angeles. 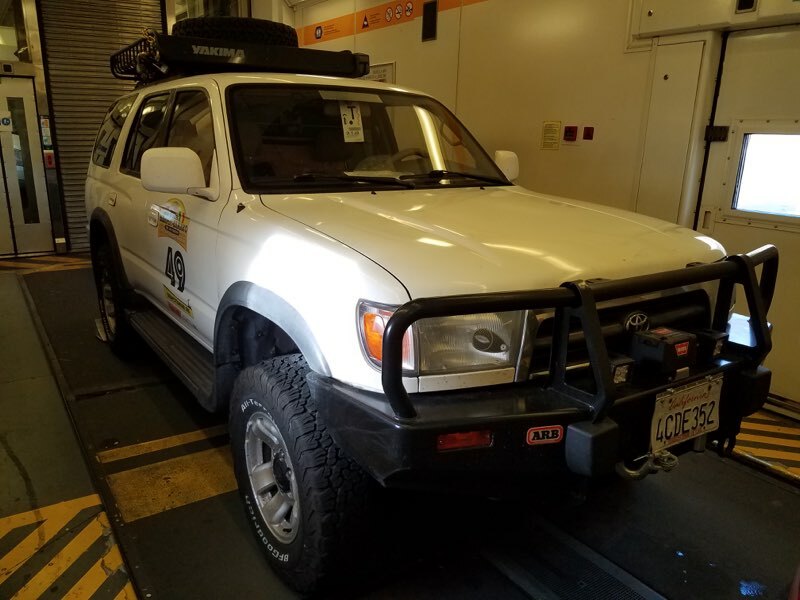 I was able to put my Toyota through its paces, testing out my modifications with both several hundred miles of paved road driving to get to the LA area combined with various off-road terrains. 4. You drove a 3rd gen Toyota 4Runner for the rally. Why did you choose this model? What were the alternatives you looked at? ​Right after I submitted my entry I started researching what vehicle to get. This was a very detailed and lengthy process. I watched a bunch of YouTube videos learning about 4-wheel drive systems, manual vs. automatic transmission, diesel vs. petrol as well as the capabilities of different brands of vehicles and also researched what others on previous B2 events had been using. This was so valuable in getting a thorough baseline. A big decision point was the transmission: automatic vs. manual. There’s lots of opinions out there but a lot recommend specifically in sand situations that automatic is better because you have a much smoother transfer of power and no clutch to burn out. 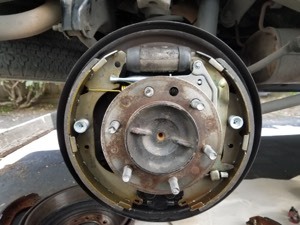 However, my big fear was a breakdown and I decided a manual would be just that bit more reliable - if I lost a gear I could keep going but a simple solenoid failure could halt an auto and leave me stranded. 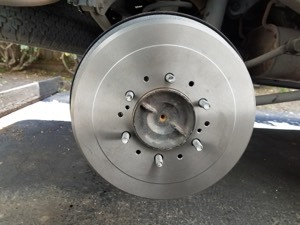 I also assumed the mechanics in the countries in Africa we were going through would be more familiar with manuals and spares would be easier. I would have preferred a diesel for its fuel economy but finding a diesel in the USA was very difficult, so it was most likely going to be petrol. And after considering Mitsubishi, Isuzu, Nissan and Land Rover I opted for Toyota, partly for their reputation for reliability, partly for an assumed larger availability of parts and mechanical expertise in Africa because Toyota is reasonably popular there and partly because there’s a good aftermarket parts and upgrades scene for Toyota. 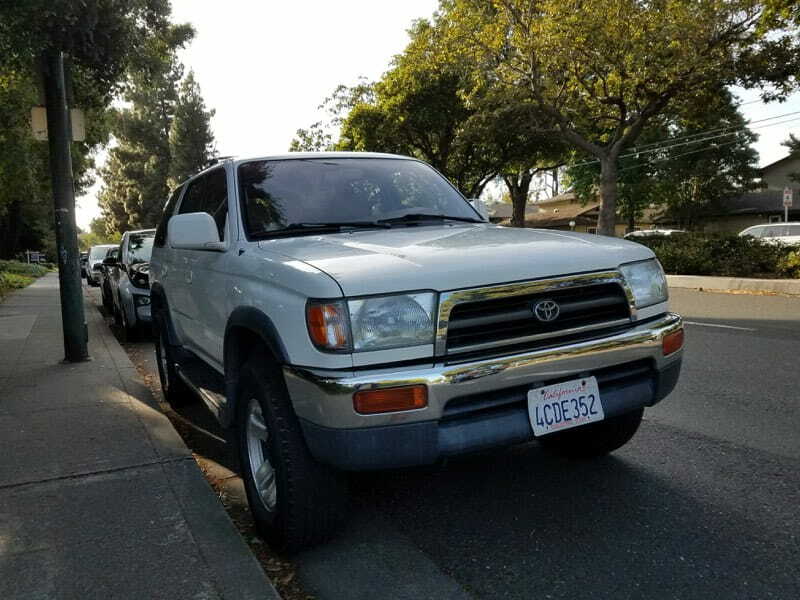 I briefly considered the pick-up truck (Tacoma) but dismissed it over concerns on theft from items in the bed so finally it came down to Land Cruiser or 4Runner. 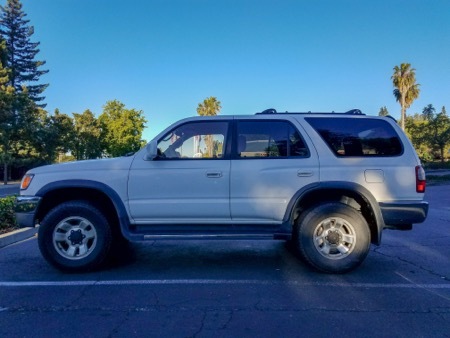 I wanted to spend between $3,000 and $6,000 on the car and quickly discovered it was very difficult to find reasonable Land Cruisers so focused on the 4Runner. 5. 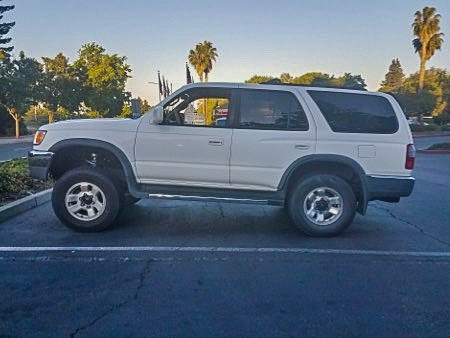 What kind of modifications have you done to your 3rd generation 4Runner? 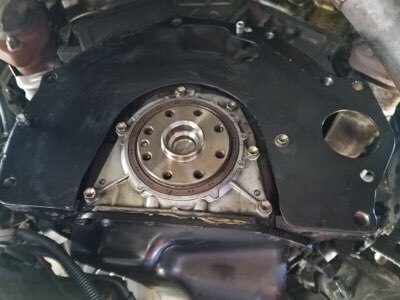 What did you do yourself and were there anything that you got done by mechanics or anyone else? Toytec Front shocks and springs (adjustable, set to ~3.5” lift), including replacing upper control arms with Total Chaos uniball style and lowering the front differential because adding the lift would make the half-shaft angles too steep (more on this later), lower control arm bushings & ball joints, sway bar connectors and sway bar bushings. 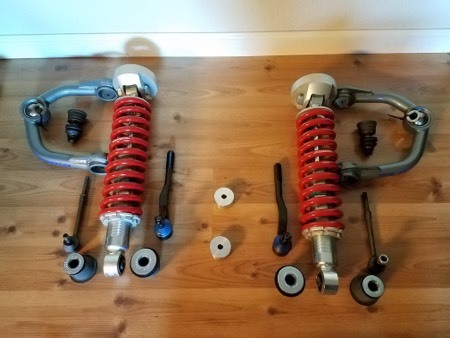 Toytec Rear shocks and springs adding 4” lift, extended bump stops, upper control arms, track rod bushings, sway bar connectors, sway bar bushings, brake line extender. Steering rack, tie rod ends, steering column coupler. 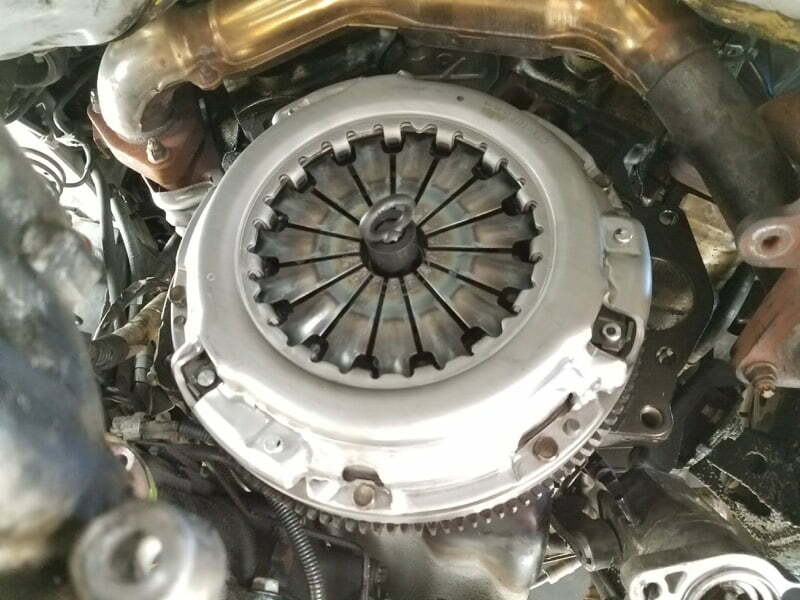 Oils & fluids (front & rear diff oil, transfer case oil, transmission oil, power steering fluid, clutch fluid, engine oil, brake fluid) with associated bleeding. Filters (oil, air and fuel). Spark plugs and wires and ignition coils. 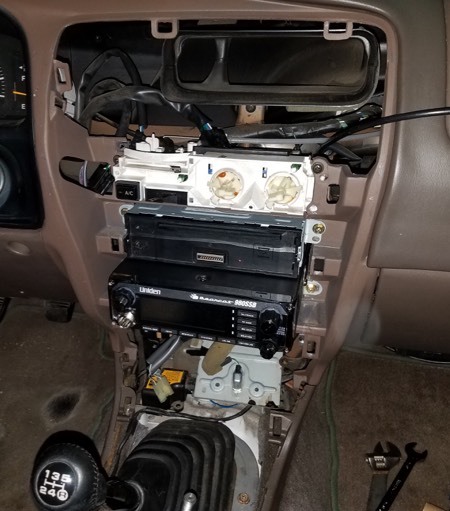 Pair of LED Flood Lights plus replaced interior lamps with LEDs and replaced all exterior lamps. 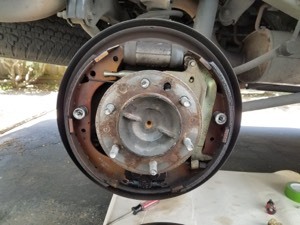 Replacement of rear lower control arm bushings - they were too well stuck! And I purchased a spare battery and an extra spare wheel and 6 BFGoodrich All-Terrain T/A KO2 tyres. 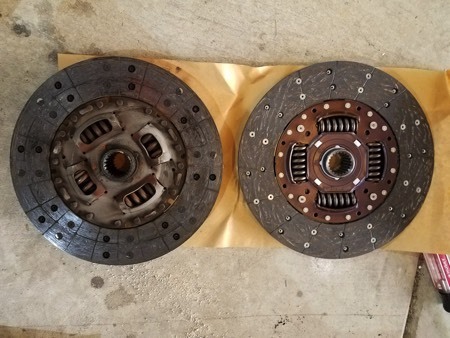 I found the clutch to be the most challenging. I’d never done something like that before and it was big and heavy and very difficult for me to maneuver. I probably spent 20+ hours in the end on this. I was struggling to get it to go back into place, must have taken 6+ of those hours to get it the final 1.5 inches home. 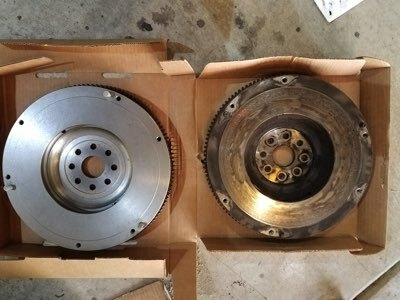 I was just about ready to throw in the towel and get a professional mechanic but I switched my position round - I had been lying underneath the car with my head toward the rear of the car, using my arms to manipulate the transfer case while using my feet to manipulate the bell housing. 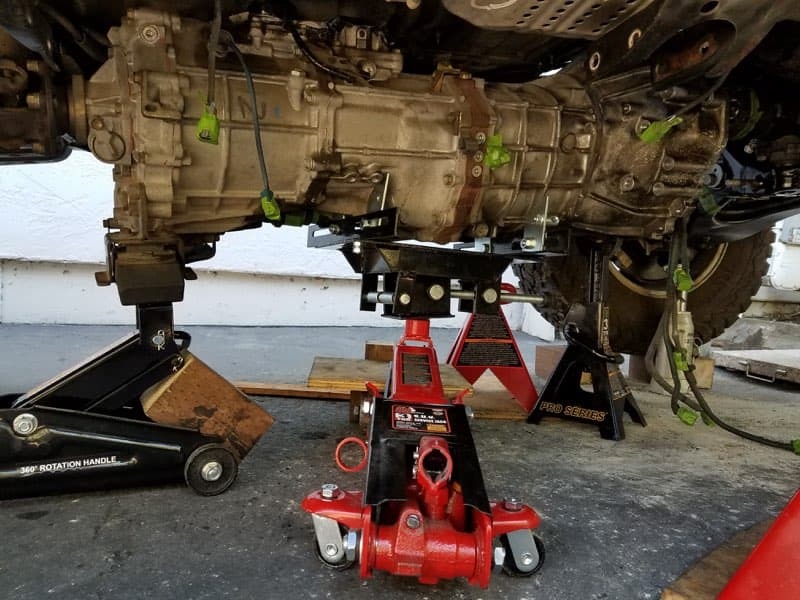 In desperation, I flipped 180 degrees, with my head underneath the engine, hands manipulating the bell housing and knees supporting the transfer case and finally it seated correctly. The other extreme challenge was getting the ARB bumper on. 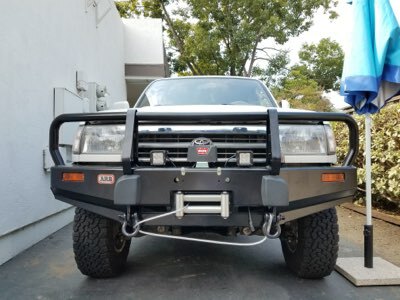 First I had to fit the winch to the bumper so now the whole thing weighed about the same as I weigh, then I had to modify the frame rail ends to remove a pair of seams so the bumper mounts would slide over the frame ends and I had to figure out a way to lift the bumper and winch assemble onto the frame ends. ​Yes, I did a bunch of courses by Badlands Off Road Adventures. 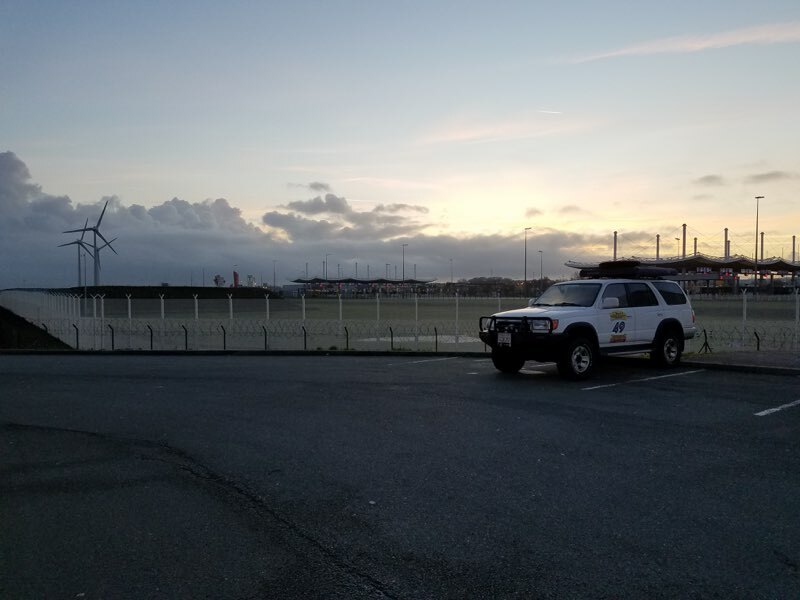 The first was a 2-day weekend, intro to off road driving where on day 1 we were taught a lot of theory of 4-wheel drive followed by some practice on a custom-built off road driving facility with some hills, rock piles and ditches. Day two started with precision exercises to get familiar with how the front and rear wheels follow different paths as you go round corners, followed by some hill climbing where the benefits of airing down were also demonstrated and then an extended trail drive. 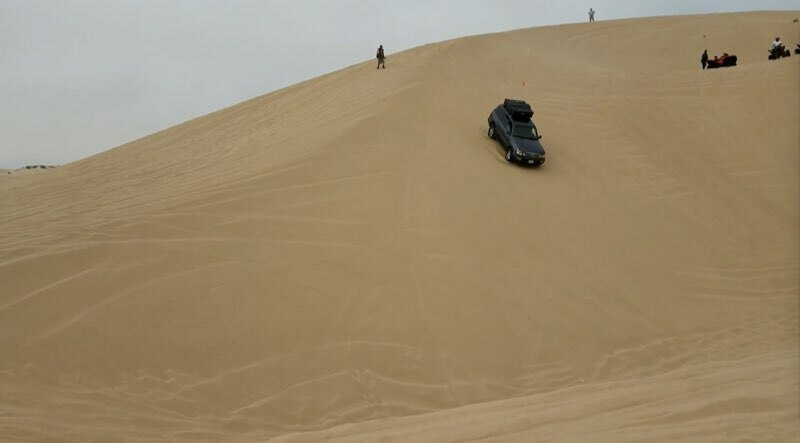 I followed that up a few weeks later with a 1-day sand driving class where we went onto sand dunes and learned various techniques for making progress in soft sand. And I wrapped it up with another two-day weekend, one to learn how to use the winch, which included all sorts of rigging with pulleys and how to manage the load and the second day was all about recovery where I learned how to use a hi-lift jack, a pull-pal and a range of interesting techniques to get you unstuck. 7. How was the process for shipping the car to Europe. You shipped the vehicle to the UK, right? Which shipping company did you use? 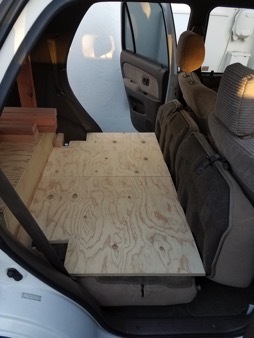 Did you share a container or booked one just for your car. How complicated was the paperwork? Why did you get it shipped to the Uk and not to Holland or Germany? How long did the shipping take? 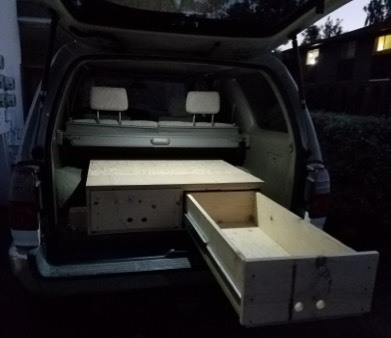 I chose to ship to the UK because I have friends and family there, who were able to help with various aspects of the prep stages. For example, I bought a few supplies in the UK and had them delivered to local addresses. I also wanted to catch up with folks because it had been a while since I’d last visited. I was going to arrive in the UK on the 6th of Jan, pick up the car from my friend, start packing it and get everything ready in time for getting underway on the 10th of Jan.
On the face of it, it was fairly straightforward but it ended up being one of the most stressful aspects of the rally preparations. I used a company called CFR Rinkens. 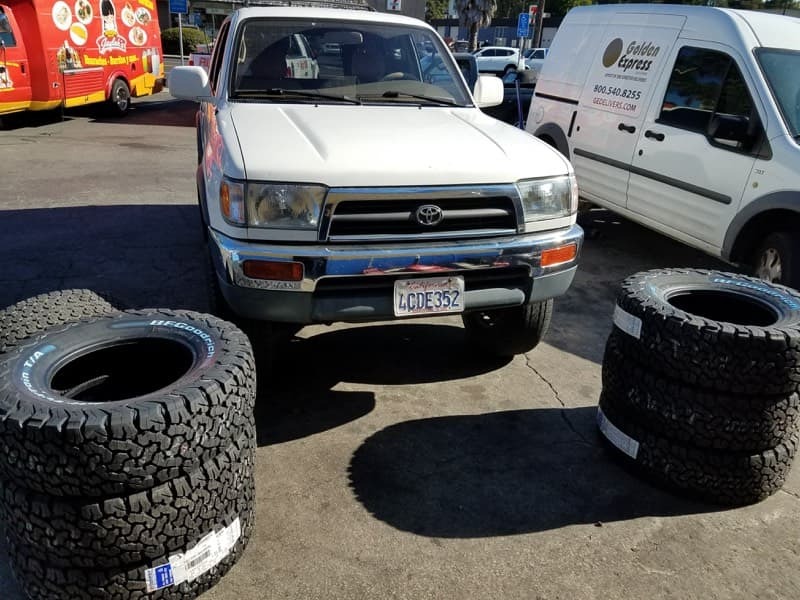 They had a competitive price and even better, they were able to ship from Oakland, California which is very close to where I live so I didn’t have to figure out ground transportation to, for example, Los Angeles. It was a shared container arrangement, CFR took care of the sharing and I think that ended up being a big part of the stress. The paperwork was pretty straightforward, at least it seemed that way initially. 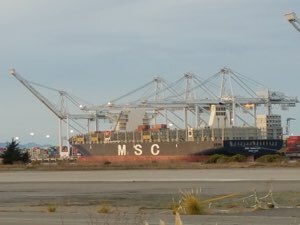 The USA export side, was simple - basically I just gave the shippers the title document which proved I was the owner and filled in a couple of simple forms. I used an agent recommended by CFR for the UK side. 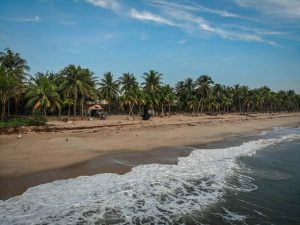 The UK agents told me what I needed to do regarding temporary importing into the UK, otherwise you would pay extra taxes and I had to do a little bit of paperwork with the UK Driver and Vehicle Licensing Agency (DVLA). This is where it gets stressful. Although I had handed the car to the shippers on the 9th of Oct, they only managed to get it onto a ship on the 19th of Nov. It took just over a month to travel to the UK and made port on the 21st of Dec, but it didn’t get processed out until the 2nd of Jan, largely because of the Christmas holidays. My original plan had been expecting it to arrive in the UK before Christmas, where a friend would pick it up and store it for me, but with this long delay to get onto the ship, that was in tatters, especially because my friend was taking a holiday that first week of Jan. So it ended up that I picked it up on the 8th of Jan (a Monday), not knowing if it was ok or anything. Fortunately it was in great condition, but I had no time to pack it properly because I had to start my drive to Budapest the following day. It was all a bit of a stressful rush. The 6-weeks where the shippers held it before they got it onto a ship blew away all of my contingency. Marc: "On my way to Budapest - this was the moment I had caught up with the packing...only after reaching France!" There were two more minor stings to come - I needed to get an export certificate but I found out I needed to present my original title for that, which I had given to the shippers. No problem, I thought, I’ll get the title when I get the car and after the rally I’ll bring it back with me and get the export certificate. When I picked up the car, guess what, no title! Turned out the agent had it at their office, which was 100 miles away and there was no way with the timing of things that I could go to them for it. I frantically worked out with the agent to get it couriered to my planned hotel in France, the day before getting to Almeria. This also meant I absolutely had to stick to the schedule which brought added pressure to drive long distances so I would make it to Montpellier. Fortunately that worked out and it was waiting for me at the hotel when I arrived. Phew. It was a close call because I needed the title to get into Morocco! Jumping ahead a little, when I came back to the USA after the rally, I took the original title to the Department of Motor Vehicles (DMV) and got the export certificate. I immediately sent the docs back to the charity in The Gambia so they could register it locally. I figured it was all ok but a couple months later, in Mar, I got a registration renewal form. The DMV thought I still owned it, even though they’d given me the export certificate! This meant one final hoop, letting the DMV know I no longer owned it but, of course, I also no longer had the original title and export certificate because I’d sent those to the charity. 8. Why did you decide to buy in the USA and ship to EU, why not buy in the EU? This was a big dilemma at the start. I did look at various dealer sites in the different EU countries to see what the options were. Can take my time, survey options, purchase in my currency, familiar with USA purchase process, easy to resolve any paperwork issues. Would need to either buy unseen or fly and buy with limited time to make the purchase plus currency exchange and need to familiarize with EU purchase process. 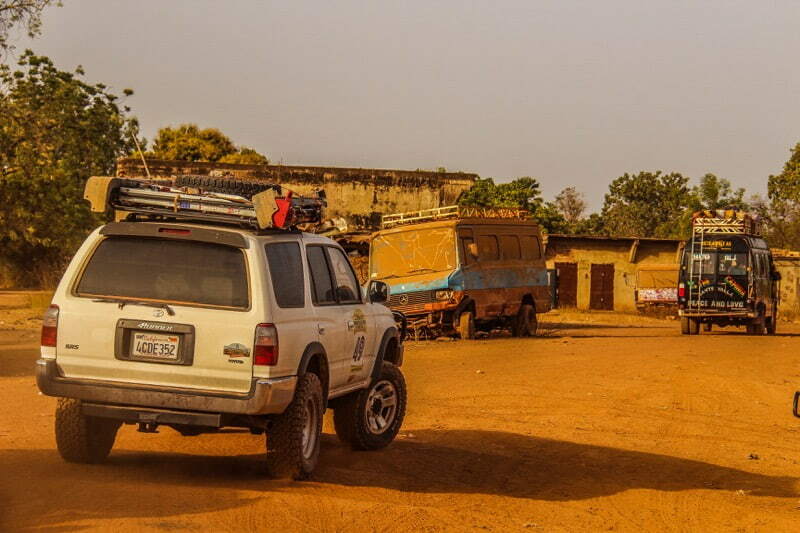 USA branded vehicles not typically found outside of the USA so expect parts, etc harder to find in EU/Africa. In addition to Japanese options, other EU manufacturers that don’t sell in the USA would be available. 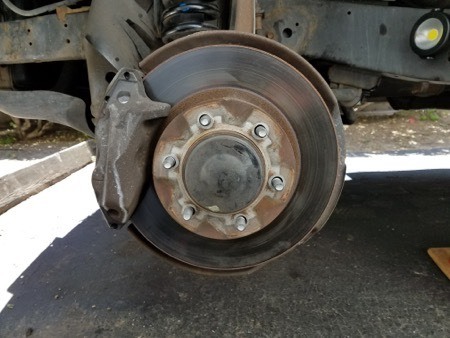 Could work on it at home / take it to trusted mechanics. Would need to pay for someone else to do any and all upgrade work. Can drive whenever I want to, take it with for training classes. No pre-rally vehicle familiarization / driving experience. After evaluating all these points, I decided the right choice was to buy in the USA. 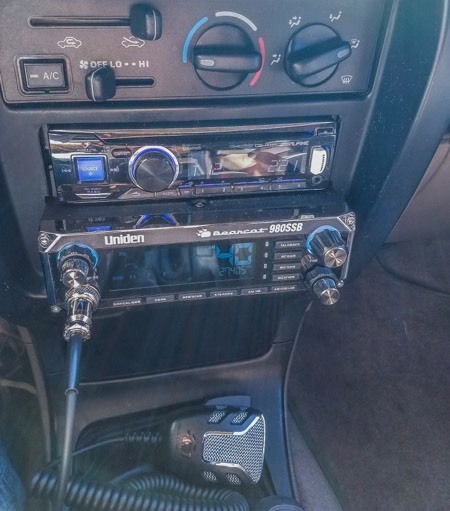 A key aspect was that I wanted to use this as an opportunity to do a lot of the maintenance and upgrades myself and I also wanted to do training classes in it so having a vehicle to work on and get familiar outweighed the extra complexities of logistics for shipping. 9. What happened to your car after the rally? You donated it to a school? Which school in particular and how was the handing out process? ​I donated it to SOS Children’s Village. They’re a global charity, originally from Austria, who have USA offices. My girlfriend actually identified them as a possible recipient and I worked with their USA office before I left to confirm they would be interested and set up the handover, including confirming the date and who I would hand it over to. The day after the rally ended I drove it over to their offices and did the handover. It was a smooth experience, with some help from the local team we unpacked all of the equipment and disassembled the drawers and shelves, essentially returning it to its normal 4-seater layout, took a few pics (they put a post on their Facebook page - it’s got some muddles like they mixed up the distance in km as miles, but there you go!) and then they drove me back to my hotel. 10. Are you planning to do anything similar again? No, at least not for the foreseeable future. I’m grateful and privileged to have been able to do the B2 but it was also quite expensive and stressful. While I do feel the B2 experiences mean I’m much better placed in terms of skills and experience to be able to take on something similar I’m shifting focus back to a different hobby. In 2016 I had started to get into sailing and this year I’m returning to sailing school. We’ll see how that goes, there’s lots of new stuff to learn so I figure I’ll be doing that for a few years. 11. What help did you have along the way with your preparations and during the rally? I relied on many people for help and support. 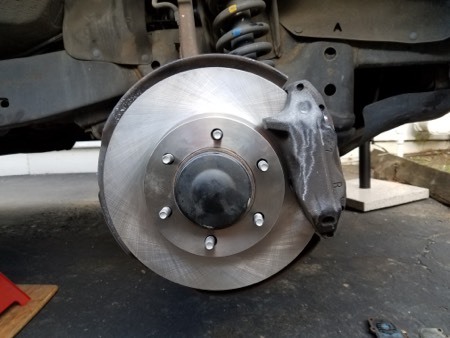 First and foremost, my girlfriend, Maggie, who gave me unconditional moral support and the time and space I needed to work on the car, accompanied me on many outings to diy and car part stores and junk yards and found the charity I donated the car to. Next my immediate family and close friends in the UK, who received and stored many supplies and parts that I didn’t want to have to ship. And last but not least my manager and colleagues, for their enthusiastic support and letting me take a month off work and still have a job to come back to.